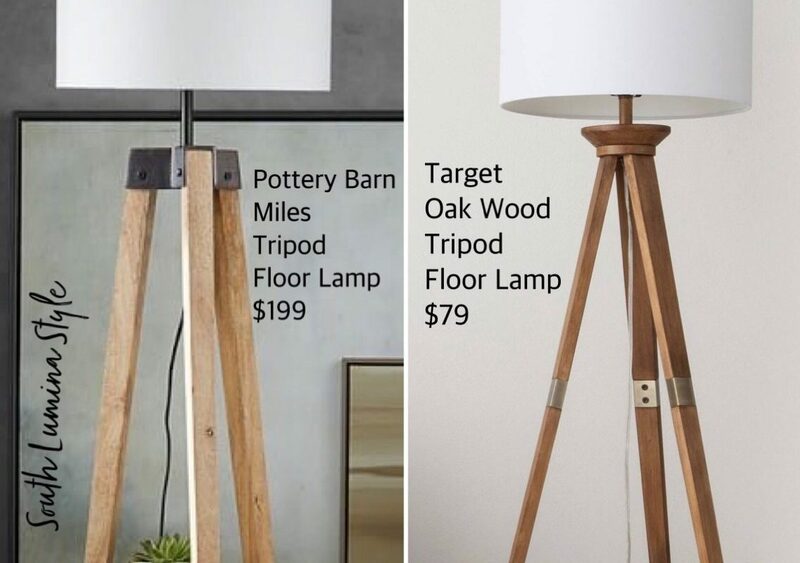 Get the same look for less with Target’s version of the wood tripod floor lamp. I like not only the price tag on the Target version of this lamp, but also the classy metal hardware on the tripod legs. 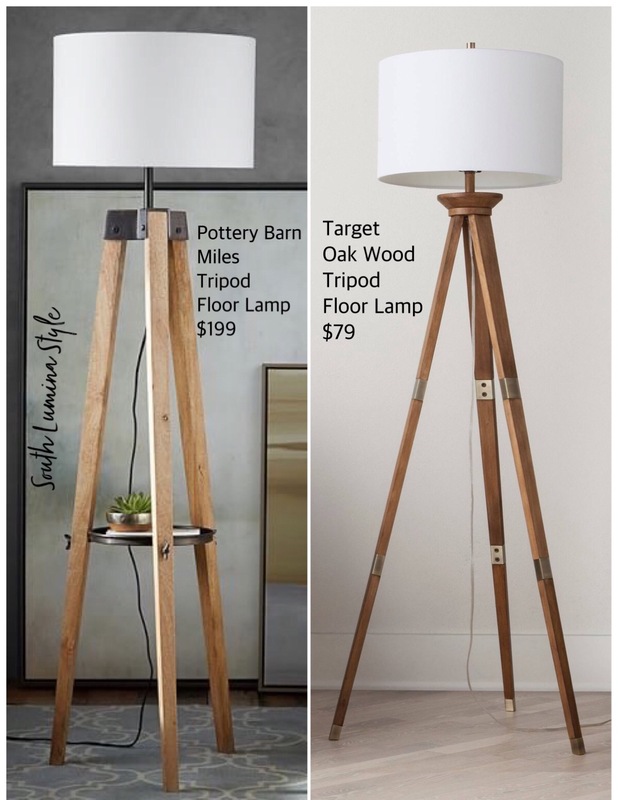 This option lets you keep more pennies in your pocket without sacrificing on style.